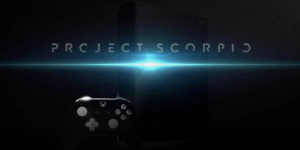 Scorpio Spec Leaks Suggest Non-Native 4K | Nerd Much? Eurogamer has received a leaked white paper from the development portal of Project Scorpio that contains a few clues on the console’s tech specs. The document is titled “Reaching 4K and GPU Scaling Across Multiple Xbox Devices” and the two main highlights of it are the lack of ESRAM and the suggestion that the Scorpio might not be native 4K. The Scorpio also still has that six teraflop GPU, and the “four times more L2 cache” which catches the Scorpio up the AMD’s Polaris line and potentially the upcoming Vega as well. So the Scorpio is definitely going to be more powerful than the PS4 Pro in some ways, but we can’t say for sure how it will work together in the end. Basically, the “Scorpio’s CPU technology has not moved on in step with its GPU”. Which is fine, it could still run 4K and HDR and Microsoft never said otherwise about the CPU. However, this is also implying that Scorpio isn’t running native 4K, that it’s walking around it like the PS4 Pro does, “on Project Scorpio, a half-resolution effect rendered at 1080p and bilaterally up-sampled to 4K could look as good or better than the same effect rendered at full resolution on Xbox One. For example, on Xbox One, the effect is produced at full resolution, say 900p, but on Project Scorpio, the effect is produced at 1080p, which is half resolution.” Which directly contradicts what Microsoft has been saying about Project Scorpio, even if the native 1080p is something to write home about in itself. In other words, the Scorpio is probably more powerful than the PS4 Pro. Though it might not run native 4K, it will be still be a decent step towards it. I wouldn’t say this is a bad thing, because the tech so far is almost enough to call the Scorpio a next-gen console, instead of mid-gen one. What are you thoughts on this leaked document? Let us know in the comments below!